Destiny 2: Forsaken is probably the biggest expansion the Destiny franchise has ever received and it stands tall against what The Taken King brough us back then. 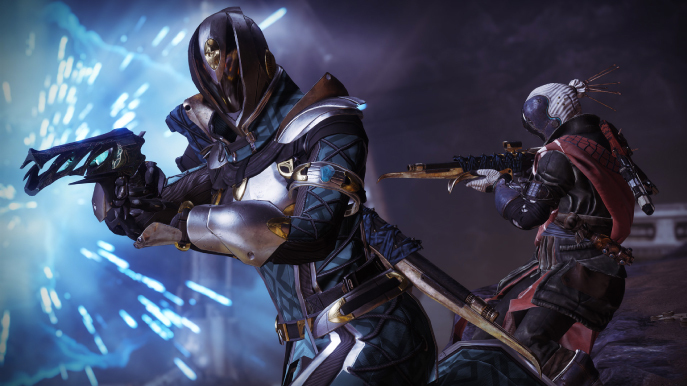 It has a lot of new content including new story, a new enemy faction, new subclasses, the new Tangled Shore and Dreaming City locations and much more loot to grind for. Did Bungie finally make a real sequel to the popular space action shooter? Let's see for ourselves. Most video game stories revolve around key characters that have some sense of relation to the player. A roster helps with making these aspects more diverse and dynamic and all of them have a role in the narrative of said game. In Destiny 2: Forsaken, we are found with a very stereotypical but yet very functional style of narrative; Cayde-6, the Exo that has all the one liners and clever comments to everything and one of the best Hunters from all the Guardians, has found himself in quite the pickle this time, costing him his life and affecting the moral compass of related characters around him. You, as the silent Guardian, are no exception. Bungie has done something that is not very common in the industry (among many things), and that is to kill off one of their most beloved characters by none other than Uldren Sov, the Awoken Prince, and use this scene as a motivational empowerment and selling point for their newest expansion Forsaken. The only reason why the developers would straight up show such a dramatic moment in Destiny history “spoiled” to us, even before the release, only means that something with a much heavier impact would follow at the end of the new campaign. While that is partially true after hundreds of gameplay hours, it is still uncertain where the story is heading. 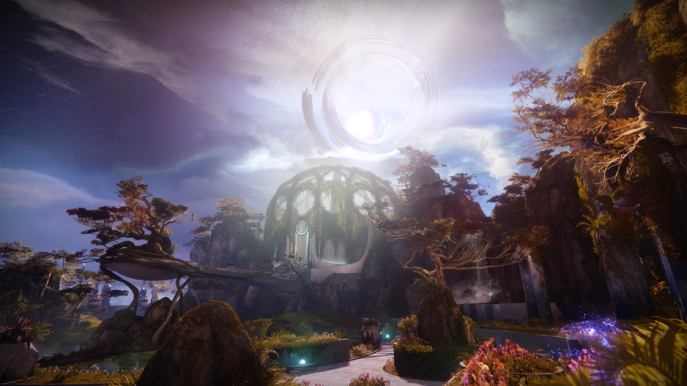 Activities, timed events and even the story behind the raid and still shaping up; The Dreaming City, a hidden place for the Awoken has been afflicted by Taken blights and a place where you can go around and earn powerful gear through end-game activities (as well as the new Last Wish raid) is locked in a 3 week continuous cycle in which events repeat themselves. Petra Venj, one of the most loyal Awoken to Queen Mara Sov has been in charge of fighting off this menace alongside the Guardian, but as time goes by she realizes that something is wrong, but who is pulling the strings in the background? 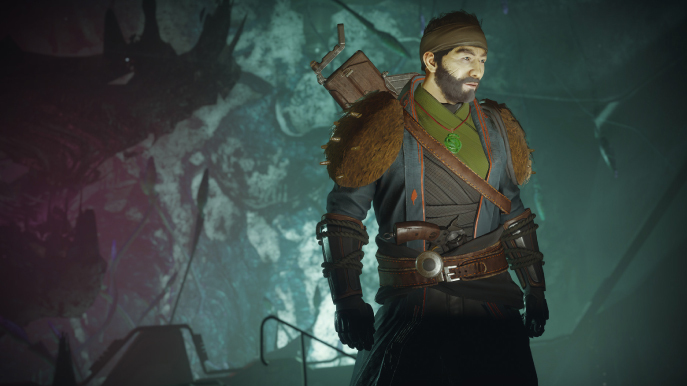 Many popular and famous influencer in the Destiny 2 community have fought long and strong to decipher these riddles and finding clues every week as well as planting theories, but it all really comes down to what Bungie decides to implement. The good news about all this, is that the developers are actually managing to create a unique and powerful symbiotic relationship between the lore and gameplay. Destiny 2: Forsaken has brought many changes to the sandbox, one of their biggest is how you can now equip Shotguns or Snipers on your primary or secondary slots instead of being in the Heavy slot exclusively, using different types of ammo. Weapons and armor can now be obtained with random perks, giving players a much wider range of possibilities to expand their builds and how they can synergize with the new subclasses for each class. The Titans class has the Code of the Commander for the Sentinel, allowing players to use a giant shield and protects allies and friendly projectiles from behind get empowered, this is a very situational new ability and doesn’t feel as strong as the regular shield or the “bubble”. For the Sunbreaker, the Code of the Devastator allows to use a throwing hammer which can be picked up and also summon a burning maul which both can proc an in built “rampage” to increase damage output. For the Striker, the Code of the Missile lets Titans fly and launch themselves as a huge arc projectile with an enormous AoE pulse on landing, this feels like a more consistent ability in terms of earning kills than the regular Fists of Havoc. The Hunter class has the Way of the Wraith for the Nightstalker subclass, giving them invisibility and look through walls when getting a kill while crouched and when hitting an enemy with a melee they earn a Shattering Strike proc which works as a 50% debuff to enemies, much more easier to use than the Sunbreaker’s known “melting point” if there are enemies around. The super are Spectral Blades which gives them invisibility and a flurry of blade attacks. The Gunslingers have the new Way of a Thousand Cuts, here they can throw knives and replenish them through burning enemies or earning kills, essentially giving them infinite knives if done correctly and in use with armor related perks, and as for the super, the Blade Barrage sends out an enormous amount of Solar explosive knives, dealing a burst of high damage to multiple targets. Finally, the Arcstrider has the Way of the Current, in which their popular arc staff can now deflect incoming projectiles, very handy in the Crucible, but very situational in PvE. The Warlocks have a new set of interesting subclasses. 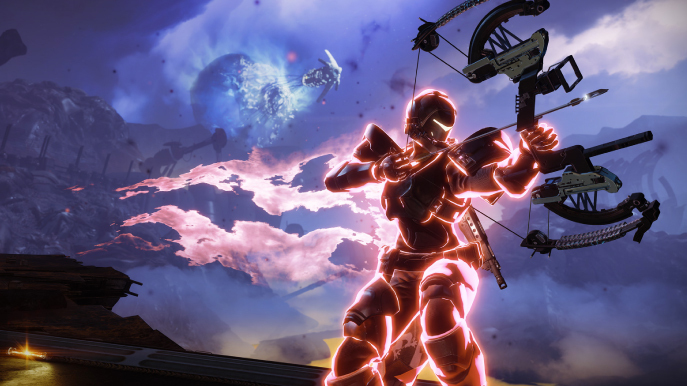 The Voidwalker has the Attunement of Fission, which gives them a one shot grenade in PvP and a Nova Warp super that allows them to teleport hastily through the map and charge a void pulse that they can release into an explosion, this new subclass has made Warlocks in the Crucible even more challenging to fight against. 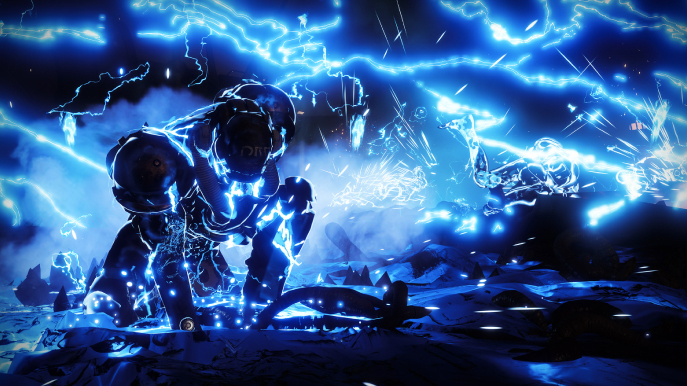 The Stormcaller with the Attunement of Control gives them the ability to shoot a long arc beam of energy that they can point at specific targets for a certain duration, very heavy of the damage department and very useful for melting bosses. The Dawnblade offers the new Attunement of Grace which makes Warlocks feel like an actual healer class in the game, giving them grenades that can heal allies and the Well of Radiance super which creates an aura on their feet that constantly heals every Guardian on it and empower their abilities, while very supportive, it depends on your allies to do most of the damage output. 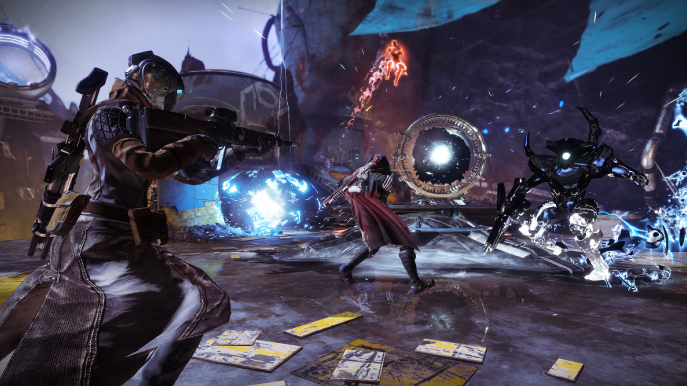 Destiny 2: Forsaken offers a new game mode called Gambit, in which it synergizes PvE and PvP into one. 2 teams of 4 guardians each are placed in a small map which spawns enemies that you must kill and collect the motes they drop and then deposit them in the middle of the map to summon a Prime evil Taken boss, killing it will win your team the round and it’s a best out of 3. Every game the enemy faction is random as well as the map, giving a lot of possibilities and tactics that need to be taken into account. Every time you deposit 5, 10 or 15 motes will send the opposing team a blocker Taken enemy in their bank which needs to be killed in order to be able to deposit again. After specific mote thresholds during the course of the round, a portal near the middle will open allowing one Guardian to invade the other team, killing someone while invading will make them lose all the motes they were carrying currently (they can also lose them if an AI enemy kills them), the invader has 30 seconds during his invasion, an over shield, and can see through walls to know everyone’s position, the only counter to these perks for the home team is that the invader is glowing red. Gambit has turned into a very tactical game mode, allowing players to figure out strategies to kill enemies quickly and coordinate when to send a blocker and invade to win the match. Many weapons and abilities can make this game mode much easier when taking down enemies or when invading but the only real issue I find for this mode is that it lacks a single player playlist. Many times you will face a 4-stack clan which has very high chances of coordinating better than your matchmade team. In terms of lore, Gambit has influenced a lot of what is occurring in the story in terms of the Taken invasion, allowing developers to even implement timed events to get an exotic reward if players get a unique Prime evil boss to spawn, creating a quest chain to earn said rewards. 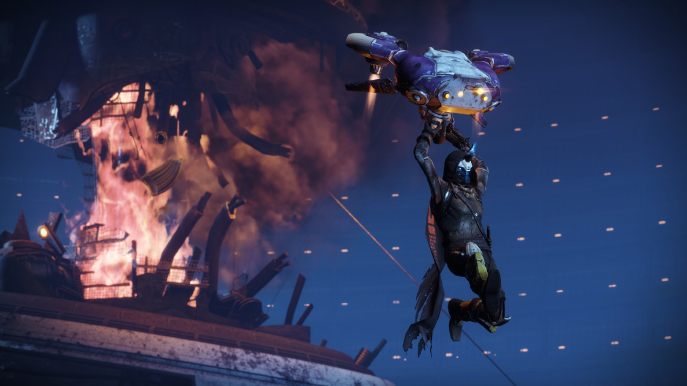 The Crucible, Competitive and Iron Banner have faced many changes. The meta of the game has changed drastically thanks to the sandbox changes of having new weapons and armor with random perks. The versatility of these game modes has expanded vastly, and like any other first person shooter, the more you play the better understanding you get of your equipment and eventually you get better at it. While some weapons are much stronger than others, causing exploits and the eventual griefing, there are still enough options to get into it. PvP may not be perfect since the community regularly gives the developers feedback on what to do and what not to do for balancing weapons, it’s a very common issue in the competitive side of the industry; should you nerf everything? Or make everything overpowered? Obtaining the new legendary items in Forsaken as well as increasing your light level to the new cap of 600 feels much more rewarding. There are now many more milestones to obtain powerful gear, enough to sometimes leave you with unfinished ones before the weekly reset. Having so many options is always good, every player can choose to level up as they wish since not everyone is forced to be either a PvE or PvP player, they can enjoy the game however they want and earn the loot accordingly if they set their aim right. 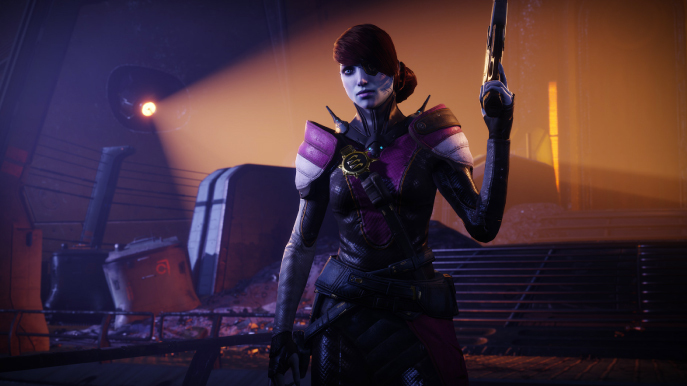 Forsaken has given players the chance to do bounties and wanted posters across the system, most of these giving players rewards that can be used as their general economy. While it may not be perfect and rewards could use a buff in certain cases like the Masterwork Cores, its still rewarding for the constant player base. Destiny 2: Forsaken leaves with the impression of what the game should have been since its release. It finally now feels like an actual sequel and not just a rework of existing assets. It still has ways to go but the overall sense of dynamism is there and we can hopefully see much more of it in the future. + Regular kind of story, but it expands much more and towards gameplay modes. + New activities and sandbox changes offer vast ways of playing the game to your own liking. + Grinding can be slow, but consistency is rewarded. + Player feedback is listened and applied mostly, even if it takes a while to go into full effect. - Loot economy is not very adequate as well as gear and weapon balancing.